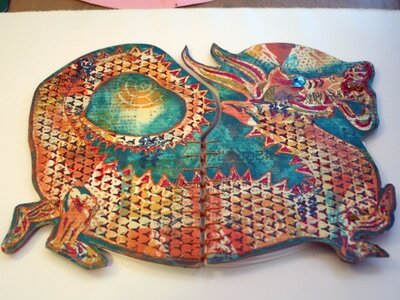 See my step-by-step process for this piece, including paint, stencils, collage, heat embossing, and a bit of frottage. 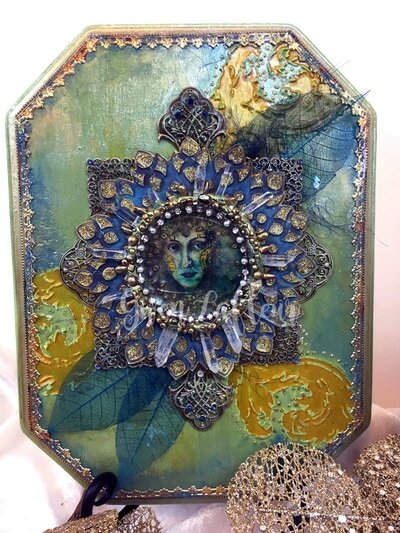 See how to make this embossed & collaged panel and custom medallion with Boho Blends & Bits! 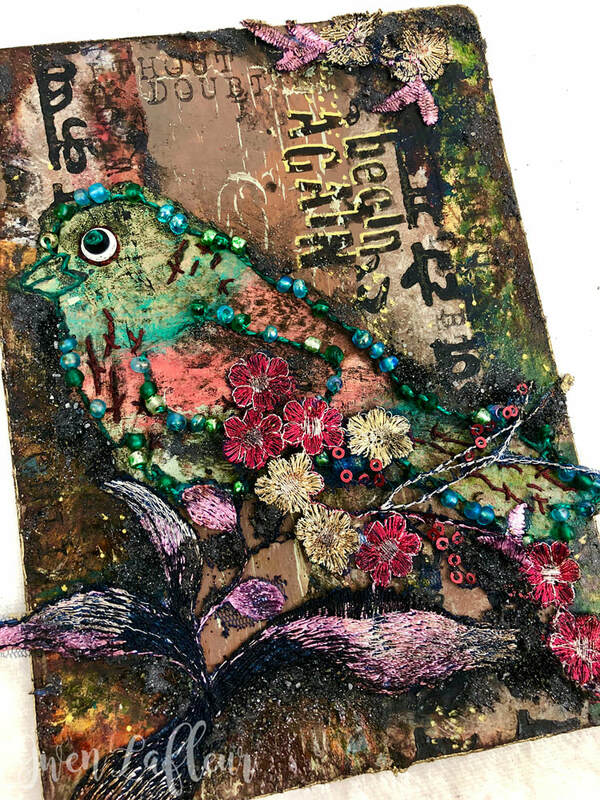 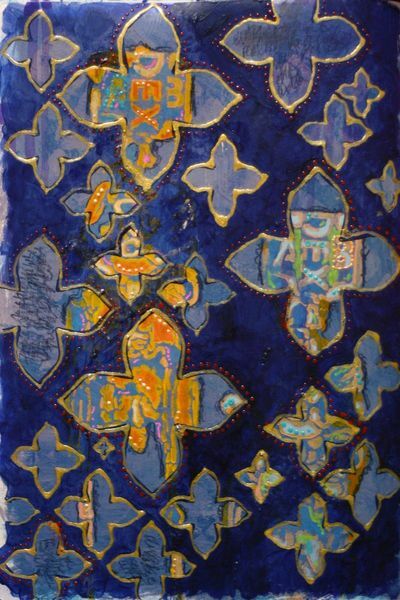 Create a textured mixed media "Art Card" with paints and mediums, stencils, beads, and fabric. 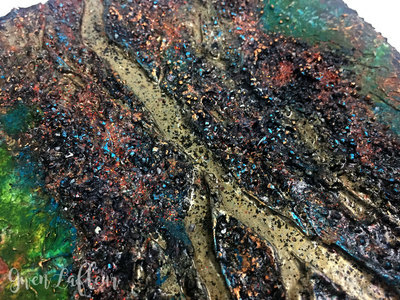 See how I used stencils, texture paste, and acrylic skins to create a tree bark effect and translucent fall foliage on this mixed media panel. 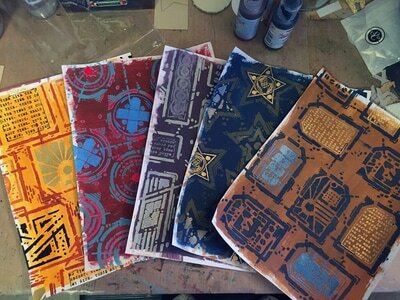 Get all my tips & tricks for how to block print on paper with written steps and a video demo. 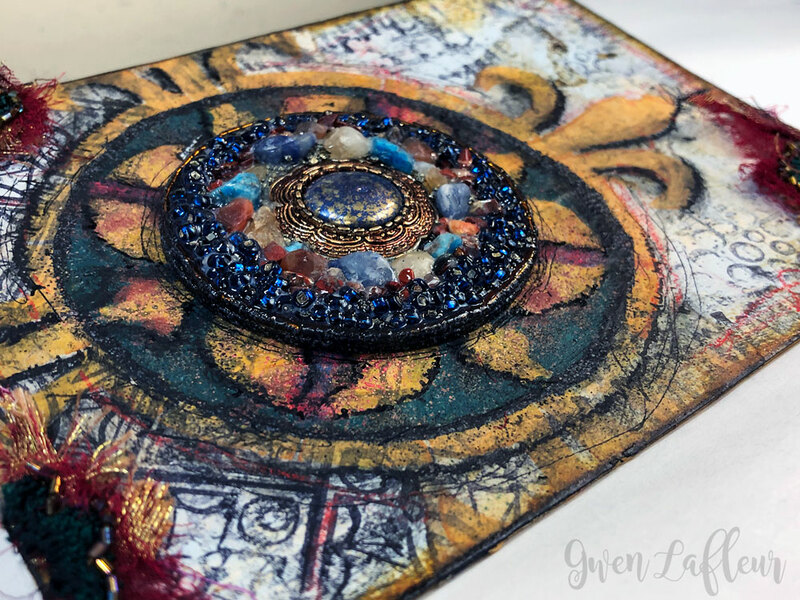 See how I used stencils with acrylic mediums, collage, and embossing powder to get this gorgeously textured boho-grunge effect! 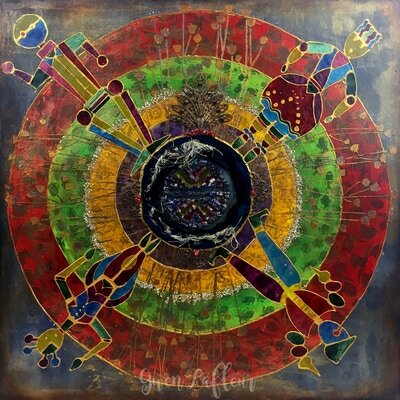 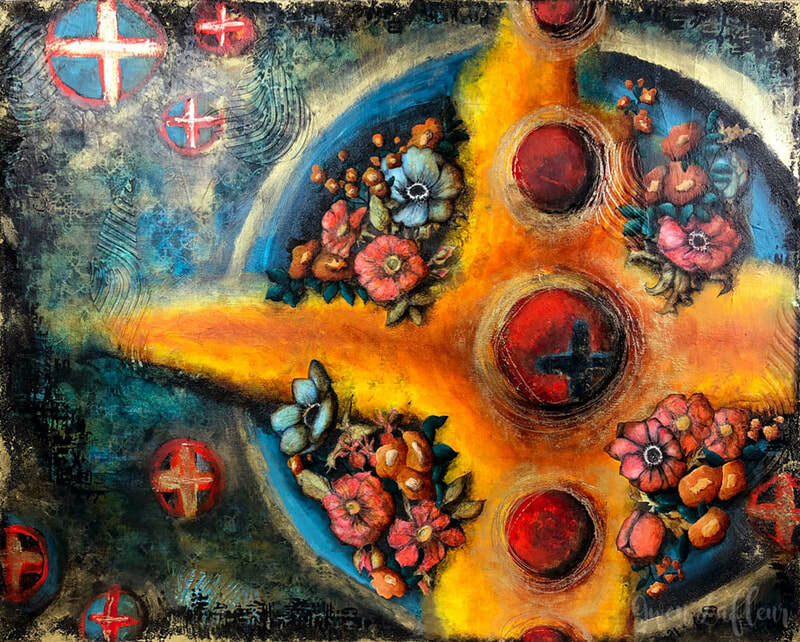 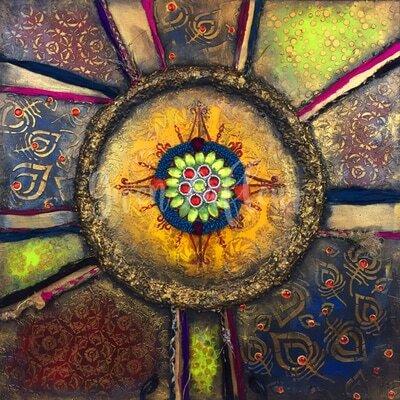 See the process overview for this mixed media painting entitled, "Phoenix." 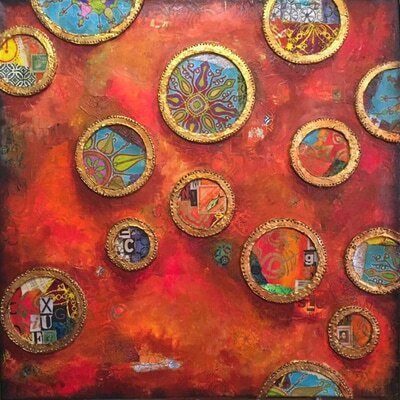 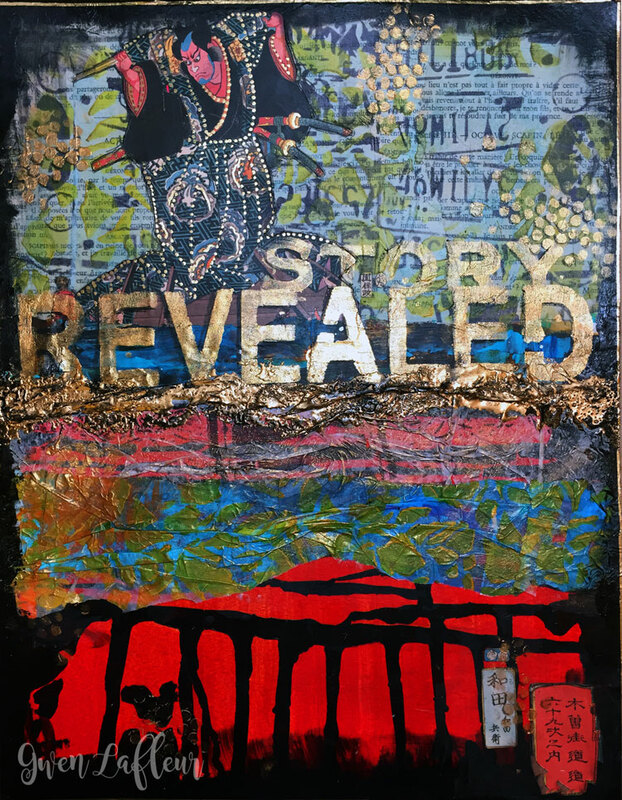 See how I made this mixed media canvas using paint, collage, stencils, and products from Relics & Artifacts. 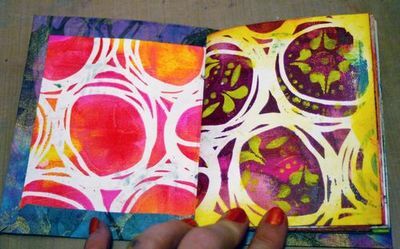 In this tutorial, see how to make a pamphlet bound art journal, and several ways to use sprays, powders, and EP with stencils. 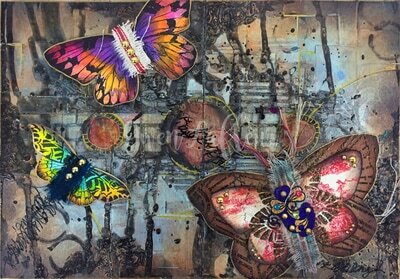 See how I created this heavily textured mixed media panel with all 7 flavors of Baked Texture embossing powders. 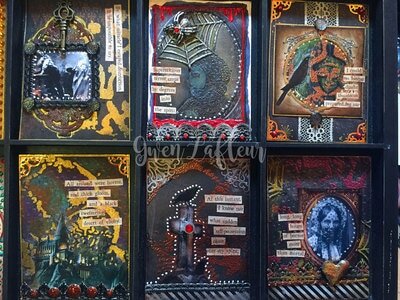 See my tutorial for this glam & grunge mixed media panel - in this post I show you how I made it from start to finish. 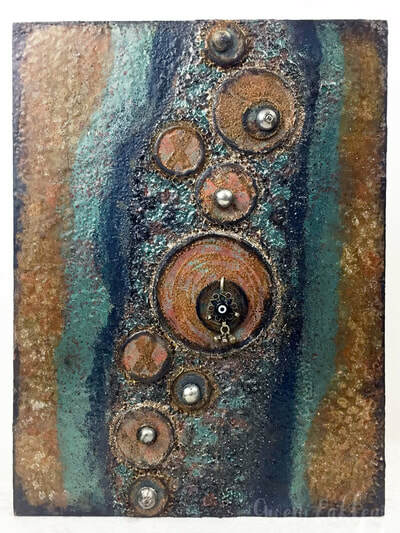 Check out my video tutorial where you can see how I create this mixed media abstract - from start to finish - using embossing powder, acrylic latex caulking, acrylic inks, and more. 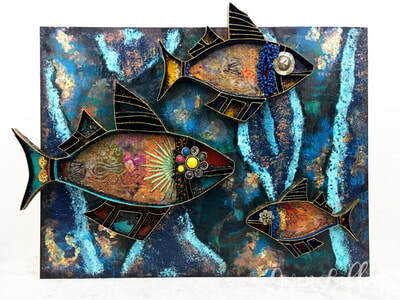 Click for the tutorial on how I made both the 3D collaged boho fish and the mixed media background on this 12"x16" panel! 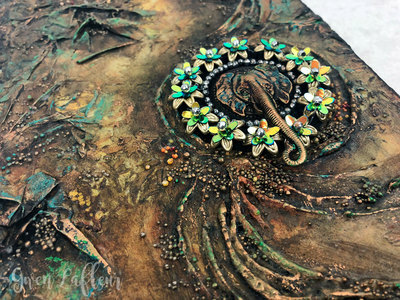 See how I made this abstract mixed media panel using stencils, embossing powder, and some broken jewelry parts! 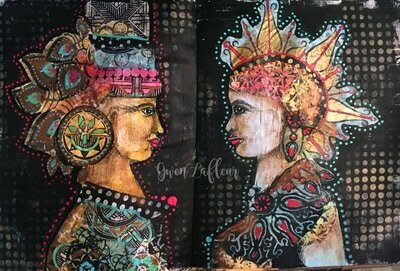 See how I made this art journal page using my Christmas Cardinal & Holly stencil, a few other stencils, collage paper, paints, gilding flakes, and more. 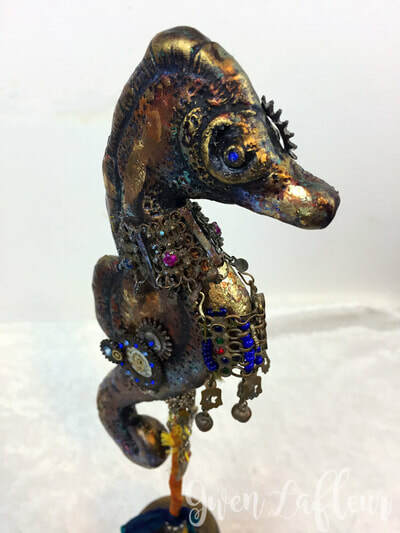 Click for close-up photos and the tutorial! 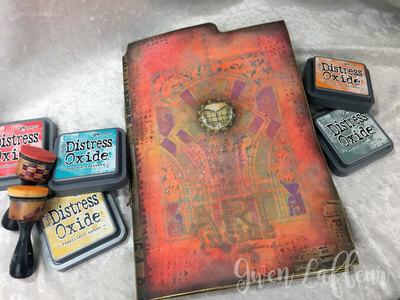 This file folder art journal is actually a series of six video tutorials, where I share techniques for using Distress Oxide Inks with stencils. 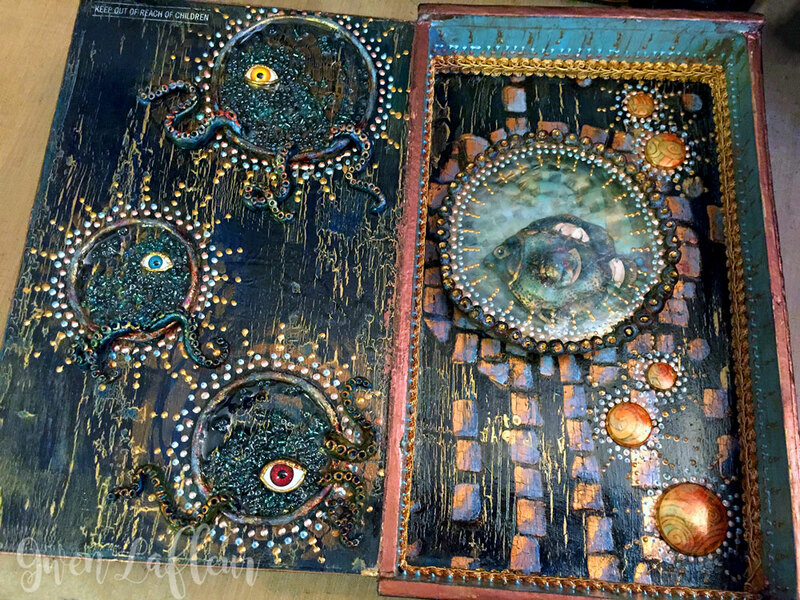 You'll see how I made the covers, as well as the backgrounds for five spreads inside the book. 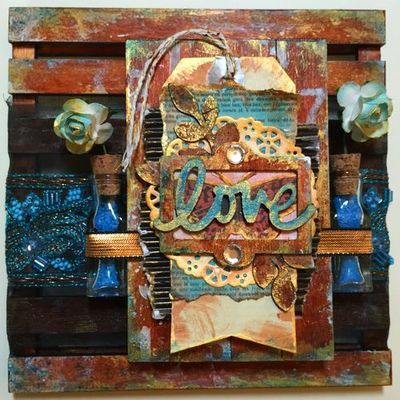 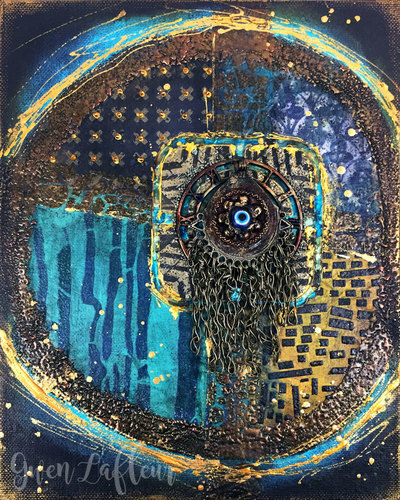 Click to see the tutorial for my "Choose Love" mixed media panel featuring a collaged background, painted and collaged layers, and a sculptural assemblage focal point. 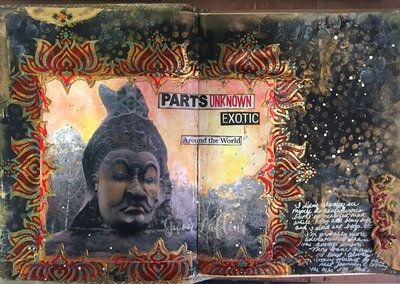 Click to see how to make this dimensional mixed media panel with stencils, and some fun global eclectic accents! 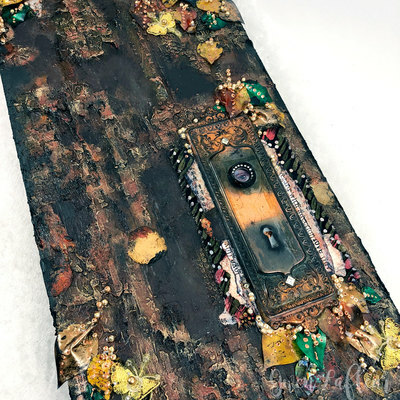 See how I made this layered and textured art journal cover inspired by ceramics! 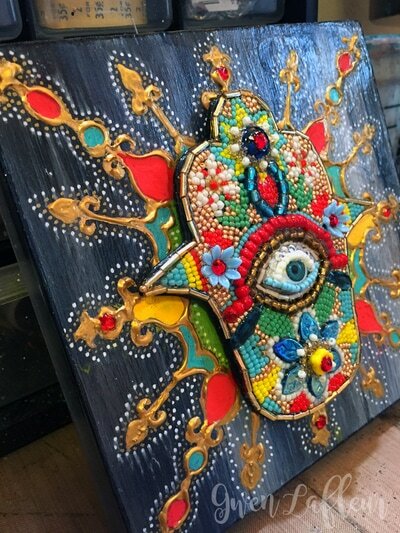 Learn how I made this boho, mandala-inspired mixed media panel. 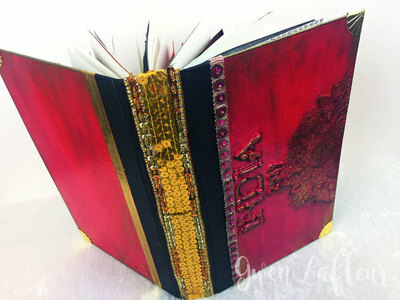 Learn how to make this art journal page with my Art Deco stencils and Canvas Corp Brands products. 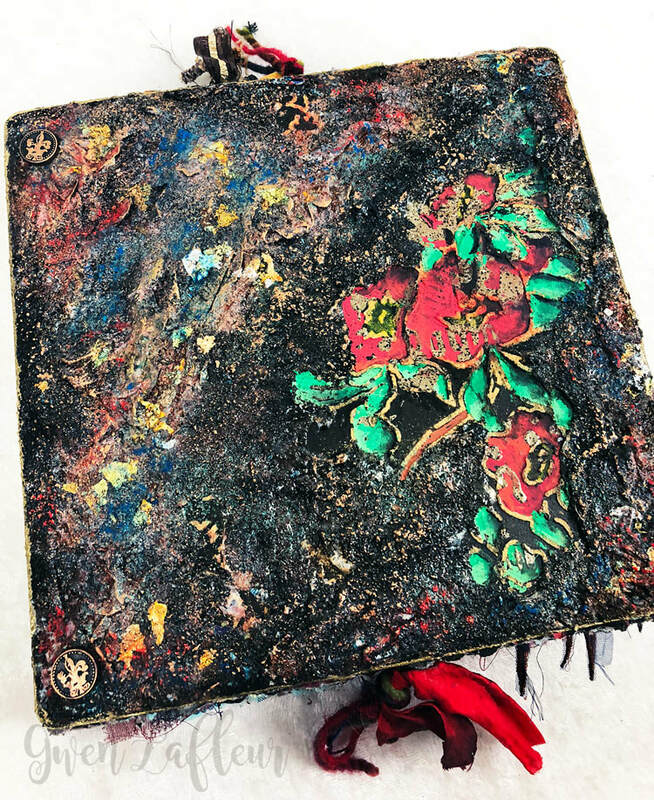 Click through to see how I created this stenciled Boho mixed media canvas based around a vintage Kuchi patch! 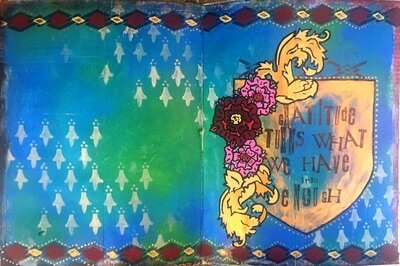 Click through to see a video tutorial showing start-to-finish how I made this art journal spread with my Heraldry stencils. 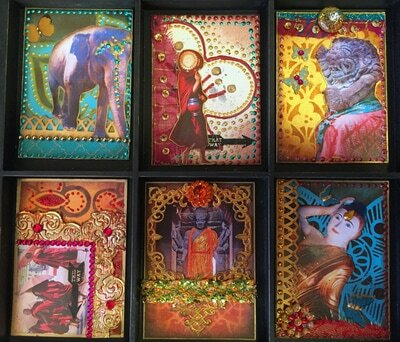 Tutorial for how I use stencils to make some of my ATC cards. 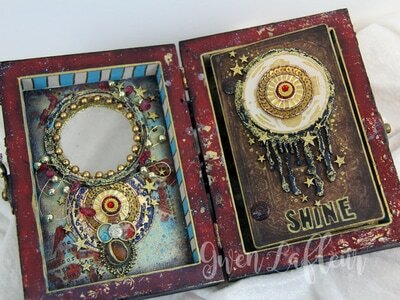 Tutorial for this art journal spread and how I used stencils to frame the photo. 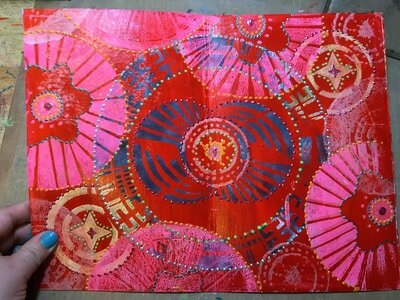 A quick tutorial on how I used my stencil designs to make a background for this art journal page. 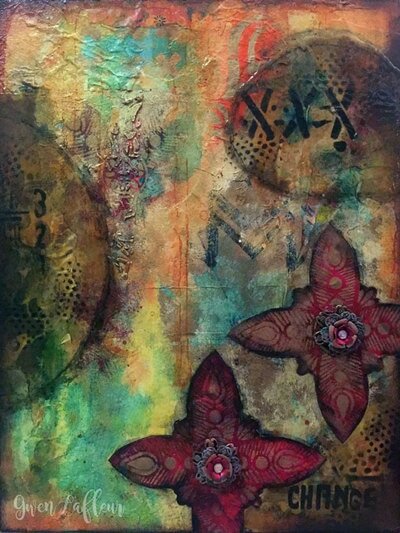 See my step by step tutorial for creating this stenciled mixed media panel. 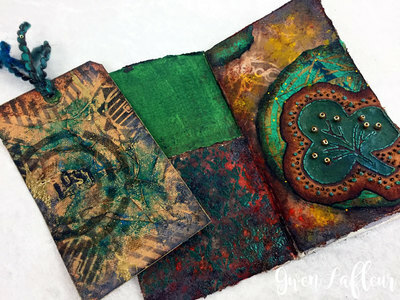 This easy art journaling tutorial features stamps and stencils galore! 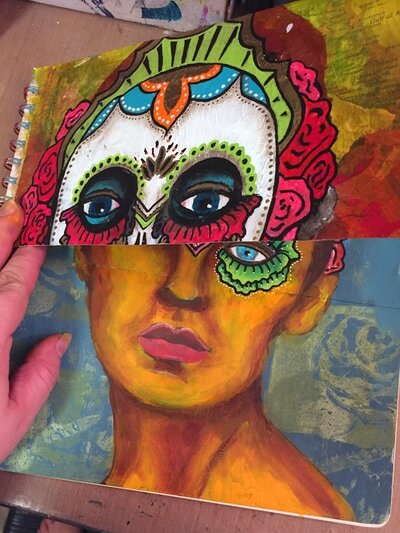 See how I used stencils to make this mix and match Dia de los Muertos face flip book in my art journal. 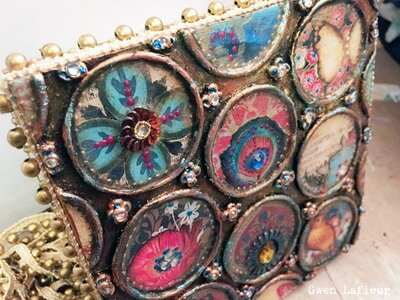 See my step by step tutorial for how I used stencils and ephemera to make this mixed media canvas. 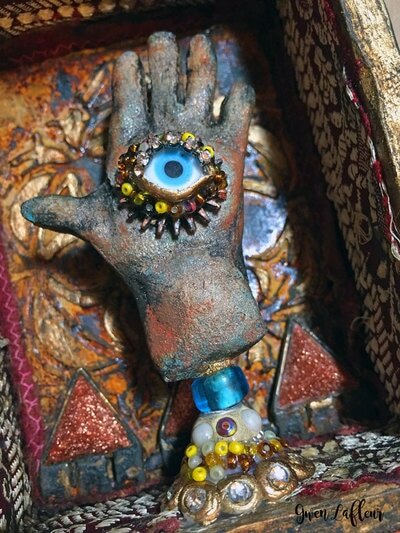 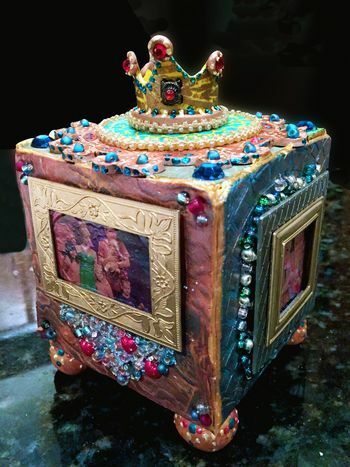 See how I made this faux reliquary with stencils, clay, ephemera, and glaze. 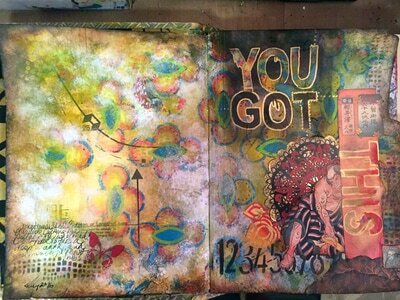 Get the step by step tutorial to recreate a similar spread in your own art journal. 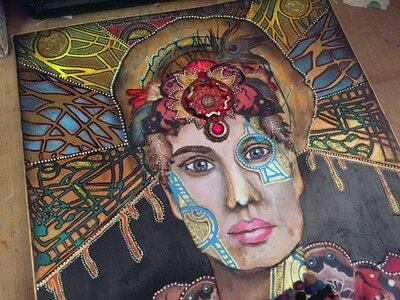 See how I used stencils to create the background for my Boho Princess portrait. 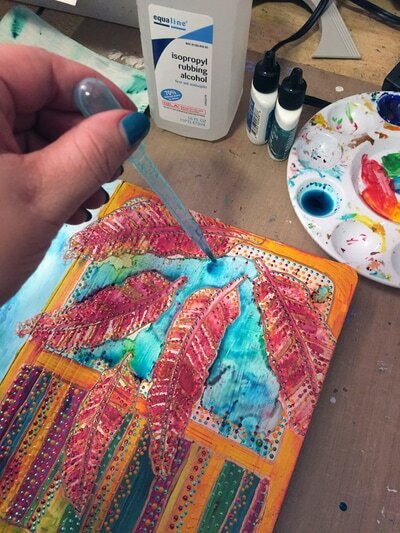 One of my most requested tutorials... how I make my stenciled and layered ATCs! 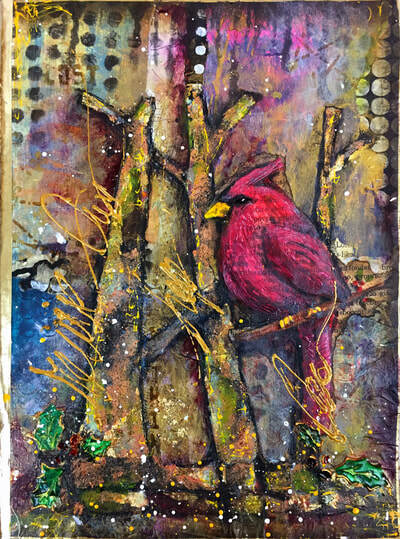 Get layers of paint and texture in your art journal with this step-by-step "how to" post. 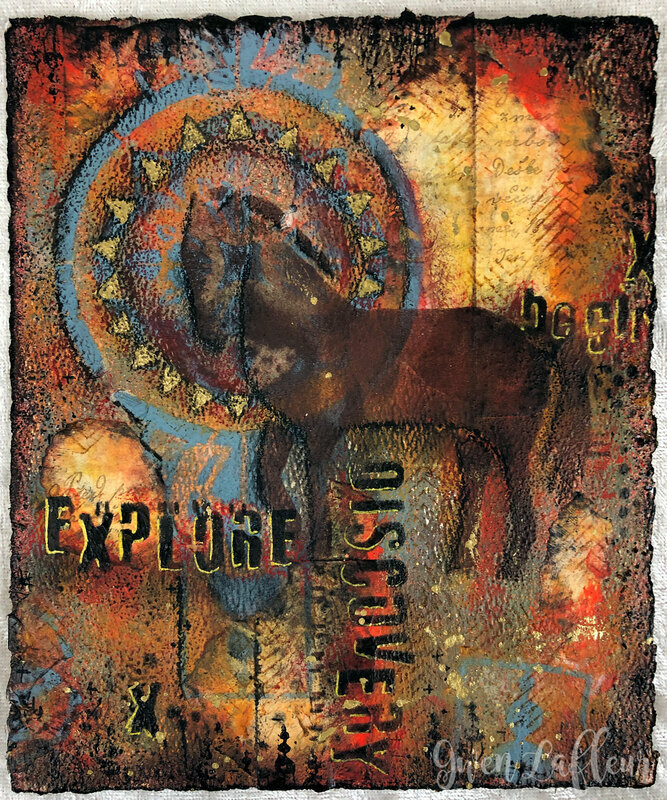 See how to create this mixed media collage with stencils & embossing powder. 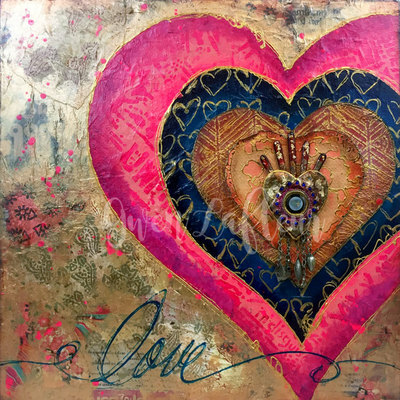 Find out how to make your stencils your own in this mixed media tutorial. 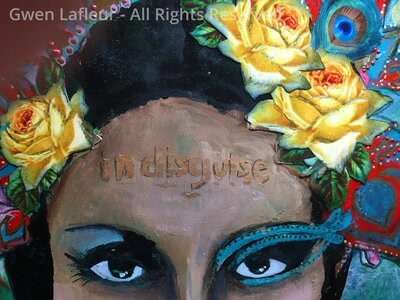 Watch my video and see samples for four ways I used masks in my work. 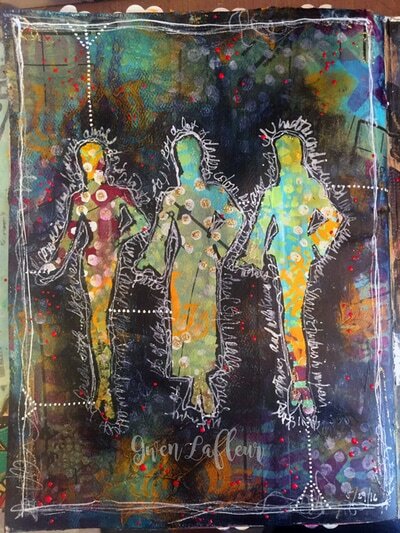 Learn how to layer your stencils for a unique art journal background. 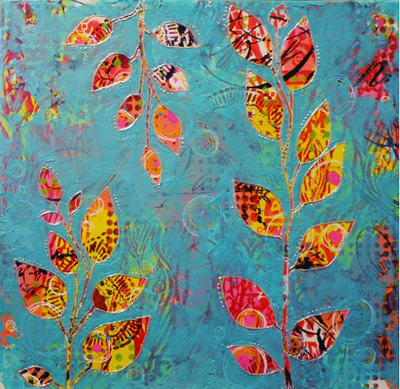 Learn how to use stencils to make your own painted paper collage. 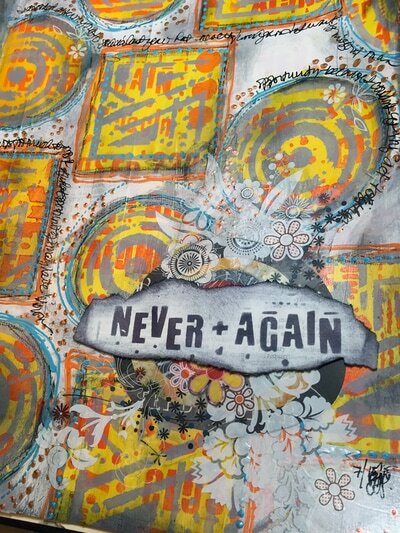 Get my quick tutorial for making your own stencil and magazine collage. 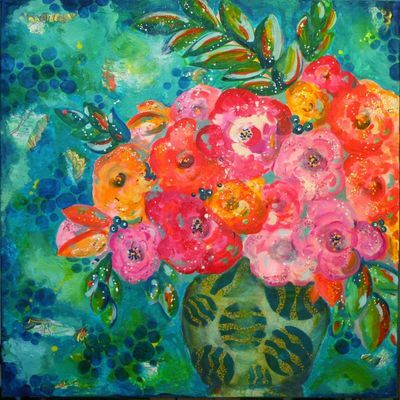 Follow my step-by-step process to make your own mixed media flower painting. 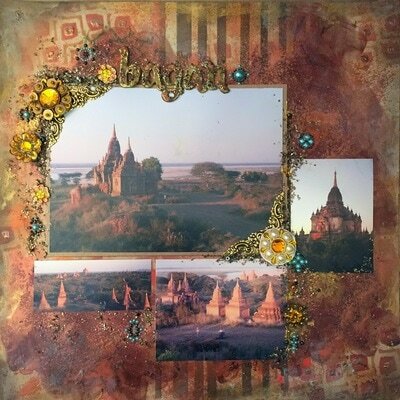 See how I used stencils and mixed media techniques for this scrapbook layout. 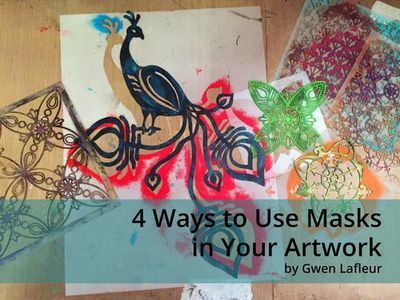 See how to use your stencils and a sheet of foam to make a printing plate. 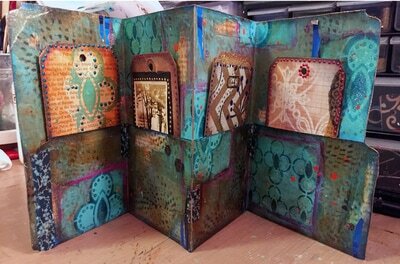 See how I used stamps and stencils to make these altered index cards and their container. 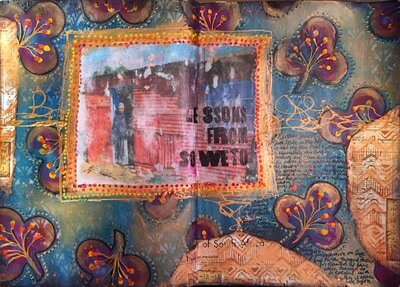 Learn how I made windows to see earlier layers on this art journal spread. 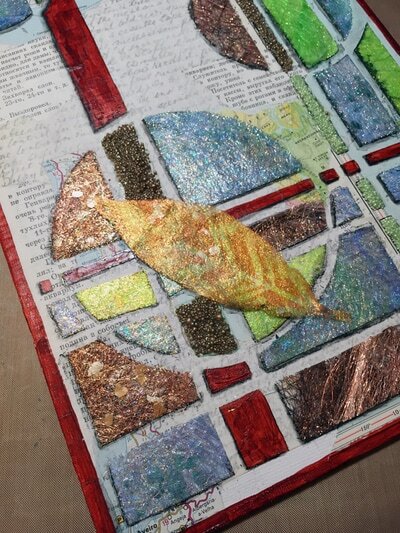 See my process for creating this mixed media art journal page. 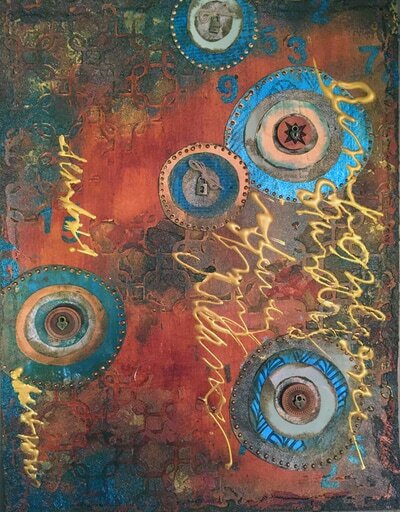 Find out how I used stencils, paint, and molding paste to make this mixed media canvas. 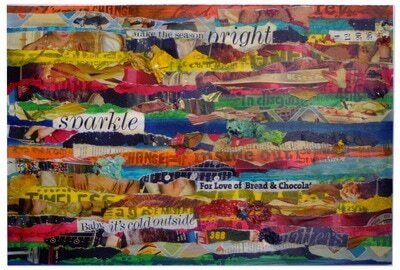 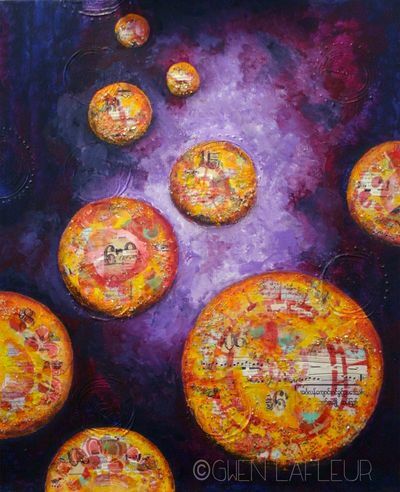 See a photo overview of my process for making this mixed media canvas. 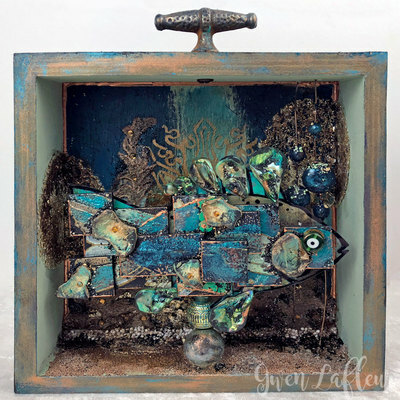 See my tutorial using stencils, beads, embossing powder, paint, and Ampersand Stampboard mini panels to make this dimensional boho grunge fish shadowbox. 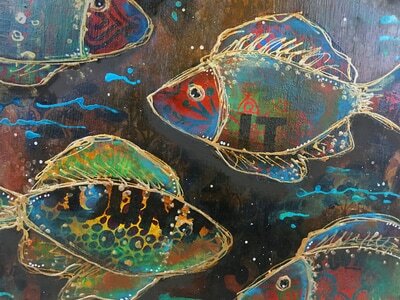 See how I used a stencil as a pattern for these 3D fish that I added to a mixed media panel. 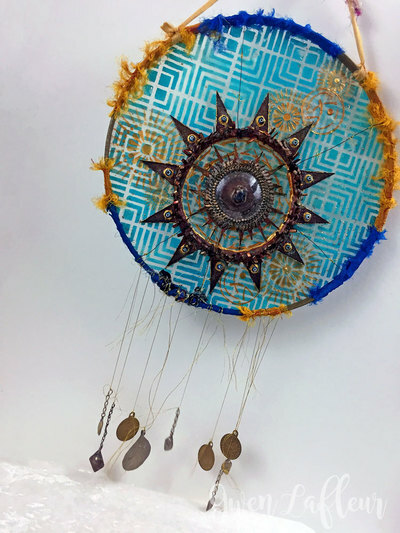 See how I used stencils, paints, embossing powder, and a bit of assemblage to create a translucent mixed media piece inside an embroidery hoop! 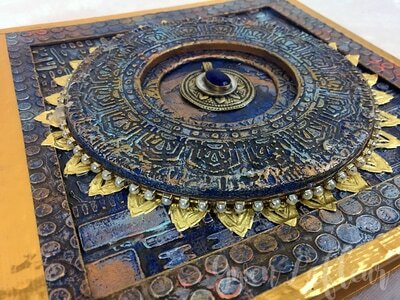 Click to see an overview of my process for turning a stencil into a 3D mixed media sculpture. 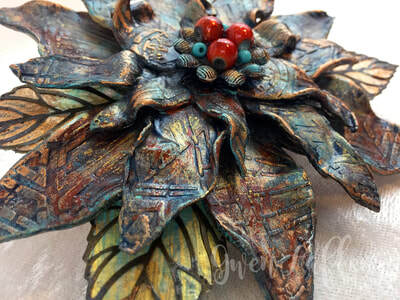 See a step-by-step tutorial for how I used stencils and Apoxie clay to make this lovely flower! 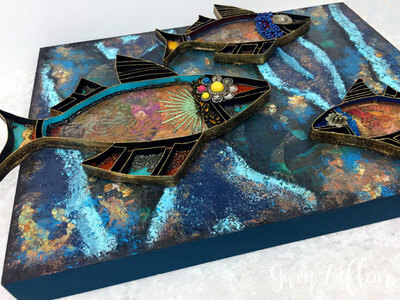 See my tutorial for using stencils, shrinky dinks, molds, and resin to make your own 3D embellishments as well as an embellished box and book cover. 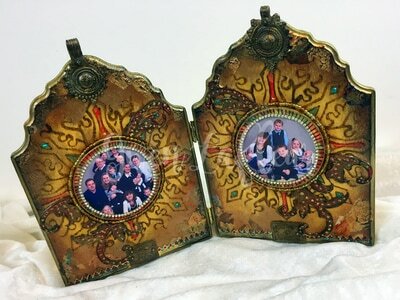 Click to see the tutorial for this stenciled and wood-burned diptych photo frame. 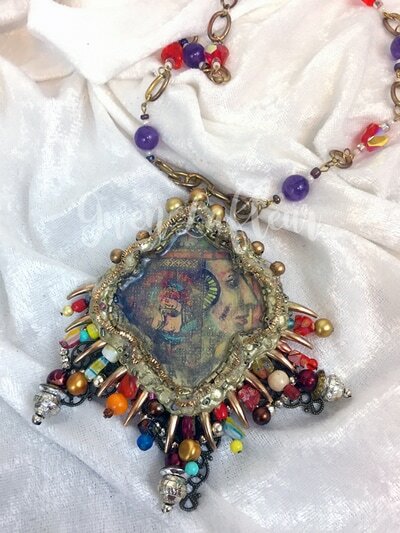 Mixed media tutorial - creating with stencils, beads, and clay. 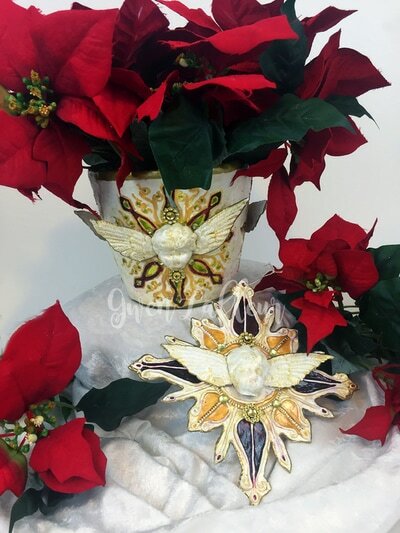 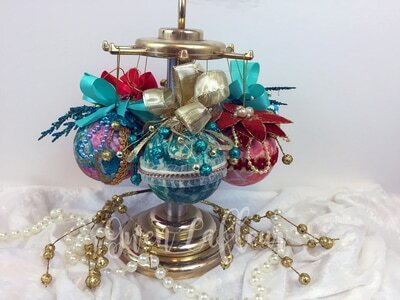 See how I used stencils and clay with irRESISTible embellishers to make these Christmas decorations. 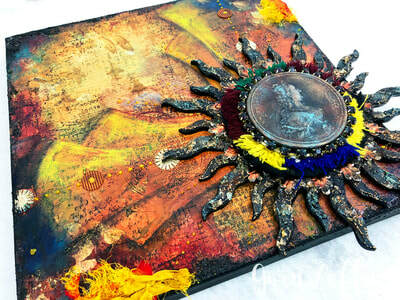 Stencils, clay, and found objects make up this mixed media shrine - find out how to make your own! 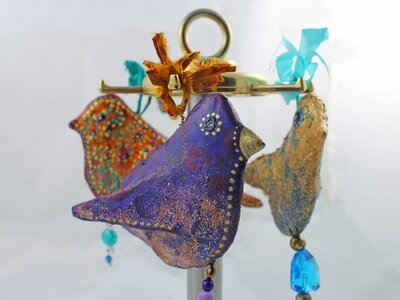 See how to use stamps, cardboard, and clay to make your own bird sculptures. 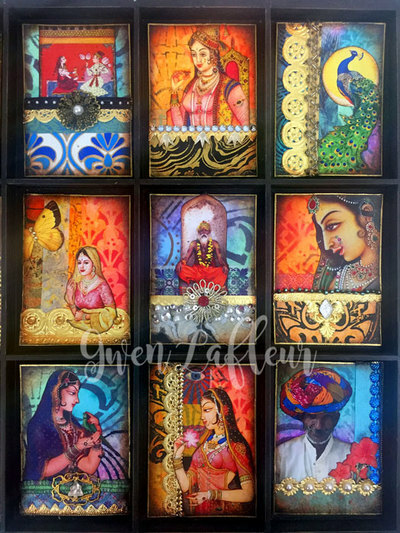 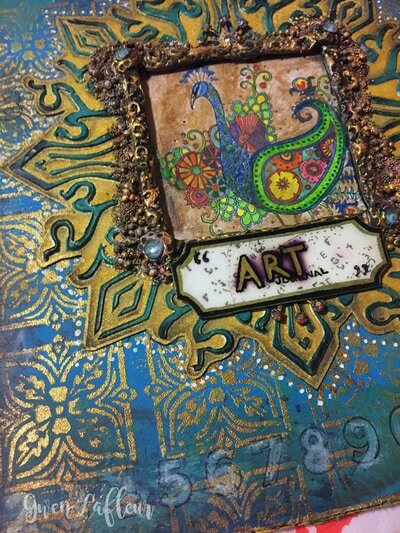 See my process overview for this mixed media shadowbox created in a cigar box with stencils, clay, paint, and beads. 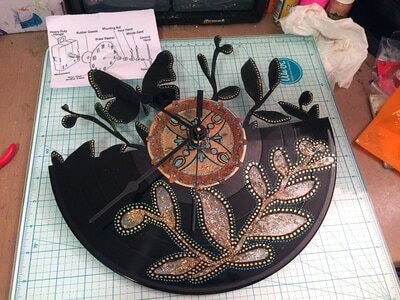 Find out how to use stencils and a hot knife to make a custom clock from a vinyl record. 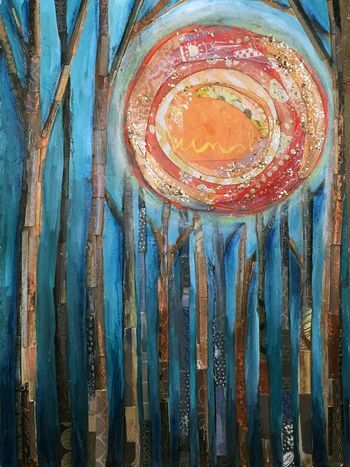 Find out how I used a mini wood pallet to make this mixed media assemblage piece. 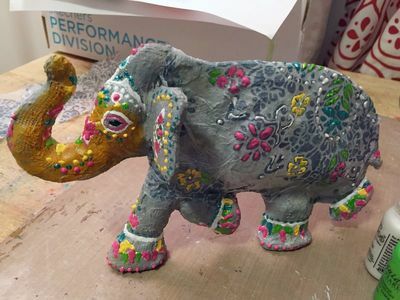 My original stencil sculpture - see how I made it! 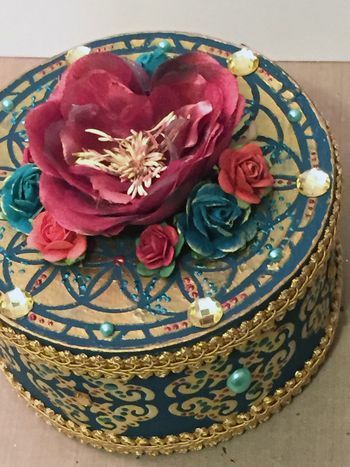 Learn how to make this homemade stenciled gift box - a gift in itself! 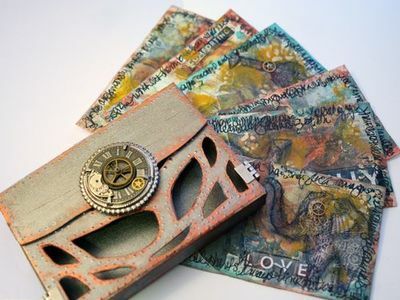 See how I used stencils with polymer clay to make this mixed media Artist Trading Cube. 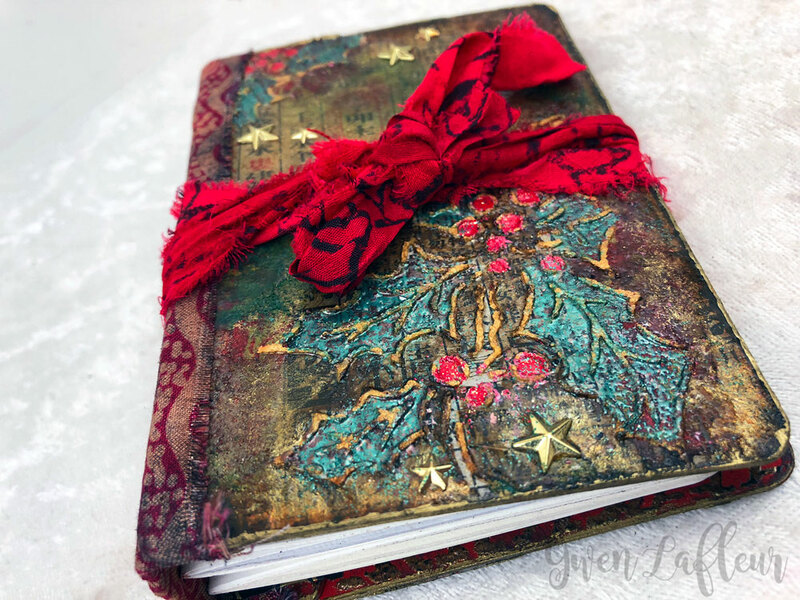 See how I used a scoring die by Eileen Hull and embossing powder to make this mini winter journal. 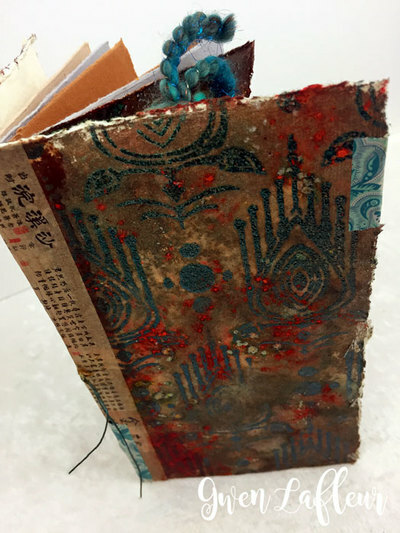 See how to create this heavily textured artist book cover with stencils and embossing powder. 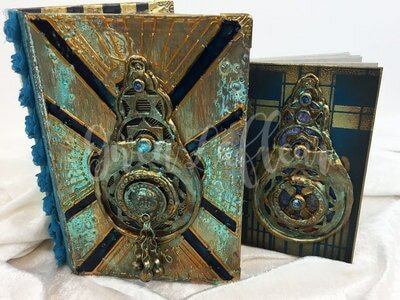 Check out my tutorial for a pamphlet-bound mini art journal as well as how I used embossing powder resist and shimmer sprays to make the cover. 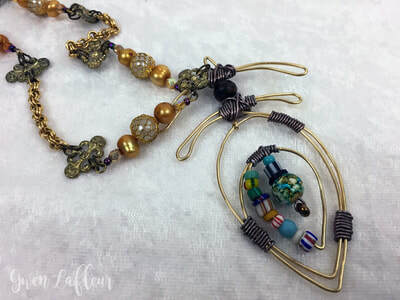 See how I used a stencil to create a pattern for this handmade wire peacock feather pendant. 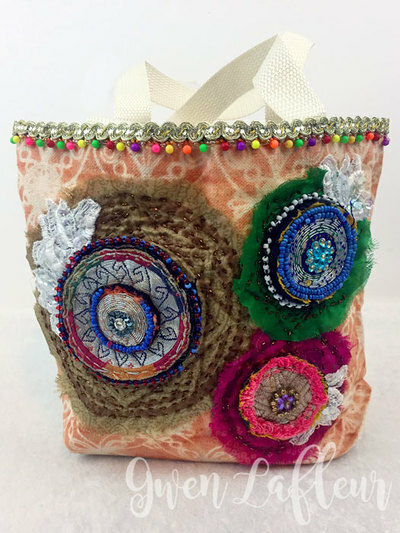 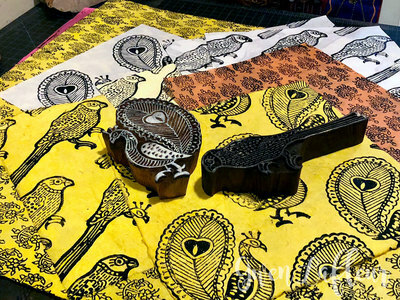 For this project, I used my stencils as patterns for Kantha quilting on a small canvas handbag, then paired them with some embroidered Kuchi medallions and sari appliques. 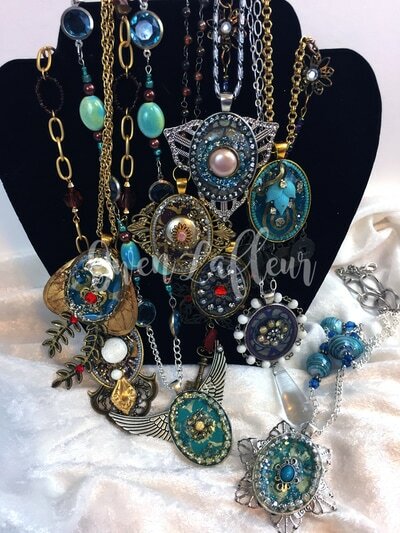 Click to see the tutorial for how it all came together! 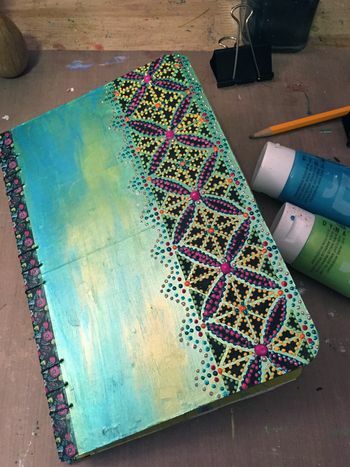 Click to see how I used stencils to decorate the cover and inside pages of this handmade travel journal. 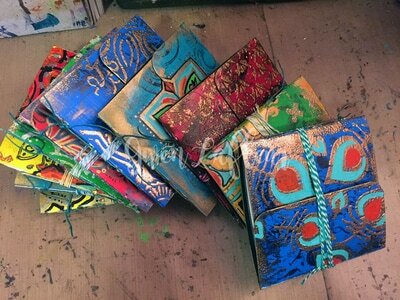 Learn how I made ICE Resin coated stenciled papers into windows for my hand-bound art journal. 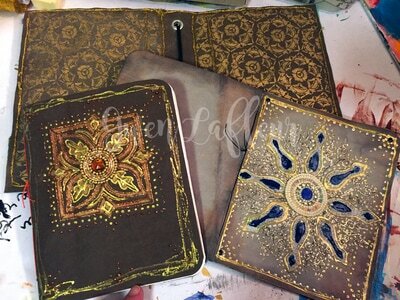 Tutorial for a reusable notebook cover and two pamphlet book inserts made with stencils and Kraft-Tex. 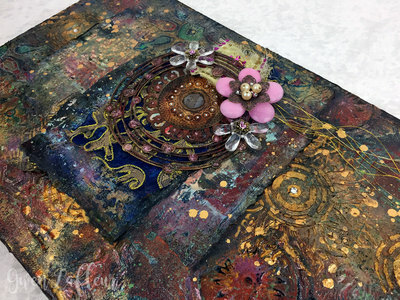 Tutorial for making an art journal cover with stamps, stencils, clay, and beads. 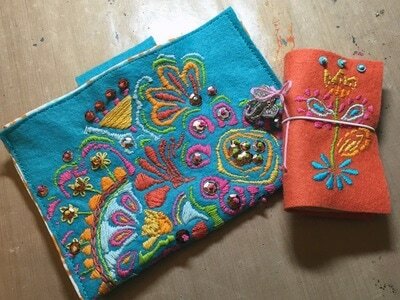 Make your own accordion mini art journal and see how I created the backgrounds! 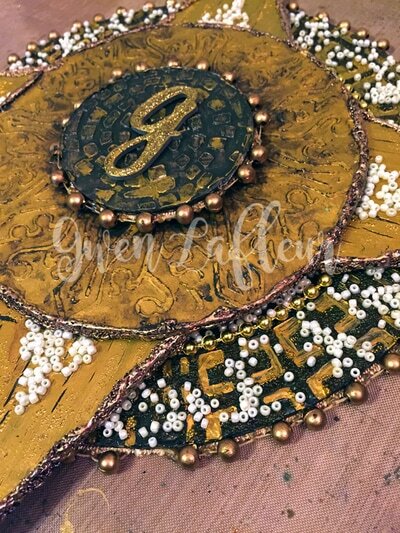 See how I used stencils as embroidery templates. 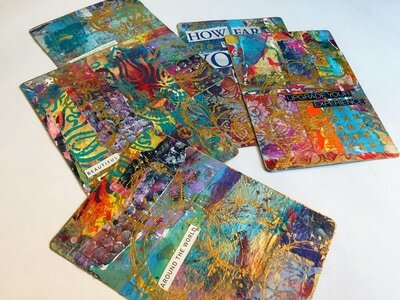 One of my all-time most popular posts... make your own file folder mini art journal! 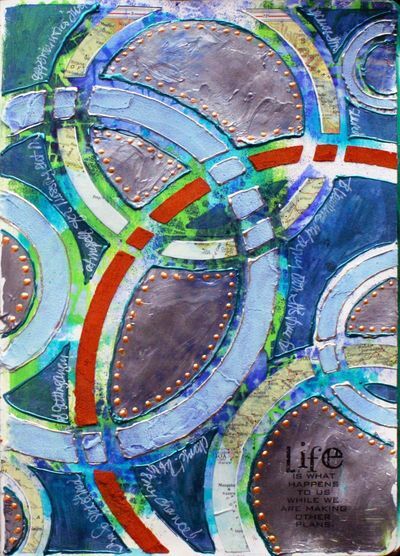 Find out how to use paints, stencils, gel plates, and a single sheet of paper to make this monoprinted art journal. 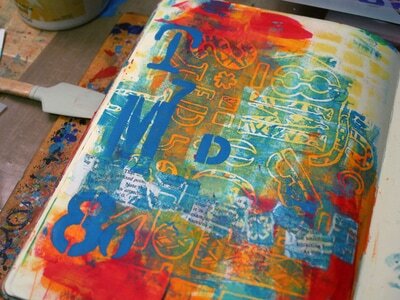 Get tips and tricks on how I used stencils and Color Bursts to make this colorful art journal portfolio. 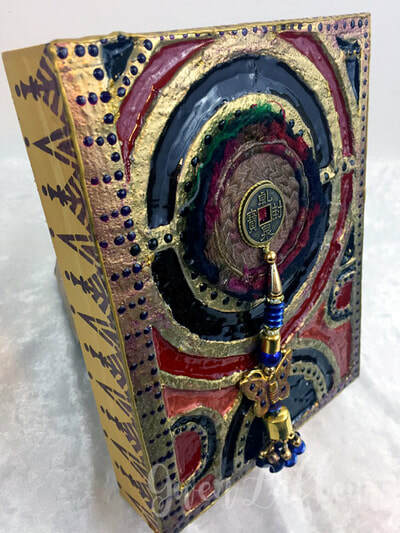 See how I used stencils, coptic binding, and Pergamano techniques for this colorful handmade book. 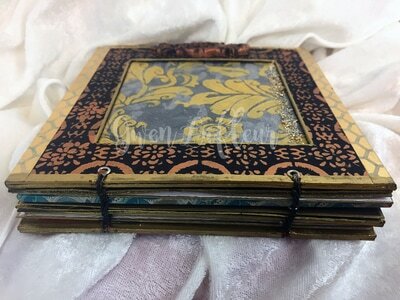 Quick tutorial to show how I made these stenciled and shaped Coptic bound books. 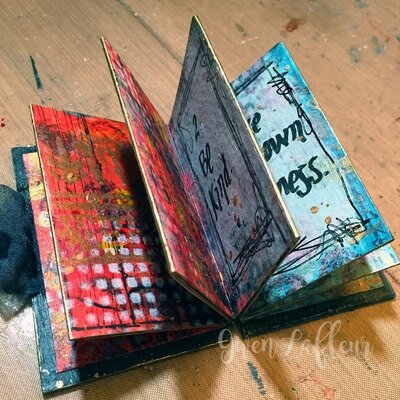 See how I used stencils to make gelli printed backgrounds and bind them into a mini art journal.